This is not incorrect when speaking Portuguese, but when you speak English, you need to adjust your pronunciation to a new set of sounds. And this is just a classic example. We have “House” (Halls), “Bluetoof” (Bluetooth), and Burger King “Buh-guh King,” amongst many others. Because I’m also learning Portuguese, I can understand how difficult and frustrating it can be to learn the sounds of a new language. But I definitely try to have fun with it, and learning how to pronounce brand names (company names) is one of the most fun and effective ways to learn English phonetics. As Brazilians, because you’ve probably spent your entire life learning how to pronounce words like Apple, Burger King and McDonalds in Portuguese, it is only natural that you have a much more difficult time pronouncing them correctly in English. The problem is that your native language has programmed you with incorrect pronunciation models for not just the names of these global companies, but for the rest of your English as well. Today I will share 7 of these words, help you learn the correct pronunciation, and recommend resources that will help you learn every aspect of pronouncing these sounds correctly in English. 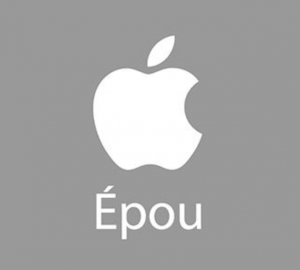 A lot of Brazilians wrongly assume that because the first letter of the alphabet is “A,” that Apple must be pronounced with a Portuguese “é,” or in phonetics this what is called EH [?]. The “A” (AA [æ]) from apple is much more like the “A” form the words Can, Fan, and Land. Learn the difference between American and British pronunciation of this sound here. The second difficulty that Brazilians have with the word Apple is the “Dark L” sound at the end. Brazilians have a lot of difficulty with “L” sound in general, but in this case the “pull” at the end of the word is confused with “pou.” Other examples of this common Portuguese mispronunciation can be found in the words Full and dull. Here’s another clear video explanation from Rachel. The explanation of the “Dark L” starts at 1:30 into the video. The pronunciation problem that Brazilians have with Bluetooth is much simpler and obvious. The difficulty is that Portuguese doesn’t have the “th” sound that we have in English. If you haven’t learned it yet, relax, because it’s not that difficult. It does demand practice though. You can learn to pronounce the English “th” sound in just two to three 10 minute practice sessions. I use the following video with my students. Check out Chad’s RealLife English article and video explanation (complete with transcript) here. Learn the difference between American and British pronunciation of this sound here (it is explained at about 2:04 into this video). Similar to the pronunciation of the “pull” in Apple, the word Halls employs the use of the “dark L” sound, but with an S on it. Brazilians tend to pronounce this almost like a mix between “Howz” and “House.” Here’s Rachel’s pronunciation video again. It’s also important to note that (1) the Portuguese pronunciation of “r” changes depending on the region. For example, in the São Paulo region the “r” is “porta” is much more similar to American English. Also, British English often eliminates the “r” sound. Here’s a video with a very helpful explanation at the 5:29 point. The word twitter illustrates one of the biggest pronunciation problems that Brazilians have. It’s even more confusing because in Portuguese the word Twitter (the company) and Tweet (a Twitter message in 140 characters or less) are pronounced with the same vowel sound (“twee”) while in English they are different. As the video below illustrates, the “i” in Twitter is almost like a Portuguese “ê,” while the “ee” in Tweet is like an “í” in Portuguese. Note: keep in mind that the “r” at the end of twitter should have a strong “r” pronunciation (see the “r” sound in #4). Here’s a RealLife TV video lesson that will illuminate the “American T” and show you how Americans do it. Or you can check out the whole article (with transcript) here. Another problematic word for Brazilians to pronounce is McDonalds. In the United States we pronounce this as “Mick-Donalds” with the same “ih” sound as Twitter (above), or in words like “live” (not “leave”). You’ll find a short video below teaching the correct pronunciation of McDonalds. This word is a little bit of an exaggeration, but it’s definitely very different in English than Portuguese. There are several differences in the pronunciation of “Redbull” that create problems for Brazilians. Problem 2: words that end with “D” with a “gee” sound. We really hope this video has been helpful. If you haven’t checked out our FREE AUDIO PODCAST , we highly encourage you to do so. We teach native pronunciation and connected speech every podcast in a relaxed and fun way. We also provide DYNAMIC TRANSCRIPTS to our loyal podcast fans and newsletter subscribers. Below you’ll find some additional pronunciation help that may interest you. Thanks for reading and take care! Hi Justin. Thank you for the vídeo. I have difficulty with pronunciation but not with those words except with the word apple. I Always learned that the words with “A” must be pronounced with long “é”. Ex: bad, dad, mat, rag. Teacher Daniel in your video ” Sound of vowels part 2 on youtube teaches like this. in http://www.dictionary.com the pronunciation these words is like I learned. Please, check.